Gentlemen of Verona interpretation 5:30 p.m. In collaboration with The St. Petersburg Celebration of the Arts, Florida CraftArt will present a lecture and improv performance featuring William Shakespeare’s Gentlemen of Verona. Set among the jewelry exhibition “Offbeat Bijou” the troupe Improvaholics will involve the audience in a humorous and poignant interpretation of the bard’s play. Refreshments will be offered on February 7 at 5:30 p.m. with a play interpretation at 5:40 p.m., followed by the improv. The Improvaholics are a Tampa Bay based musical-improv troupe formed in 2014 and currently part of THE BOX THEATRE in Tampa, Florida. Its mission is to make people laugh and to share the endless possibilities which can come from the imagination just by eliminating self-limiting doubts. The actors have full-time jobs and perform improv in their spare time for the love of the craft. All of the troupe’s performances are completely improvised based on audience suggestions and participation. The exhibition “Offbeat Bijou: Alternative materials, processes and ideas in jewelry” features innovative, artist-created pieces, such as Emiko Oye’s necklaces and broaches made from Legos and 3-D printed jewelry. The exhibition, curated by Kelsey Nagy and Melissa Yungbluth, runs through March 2. For more information about The St. Petersburg Celebration of the Arts, visit www.artsofstpete.org. 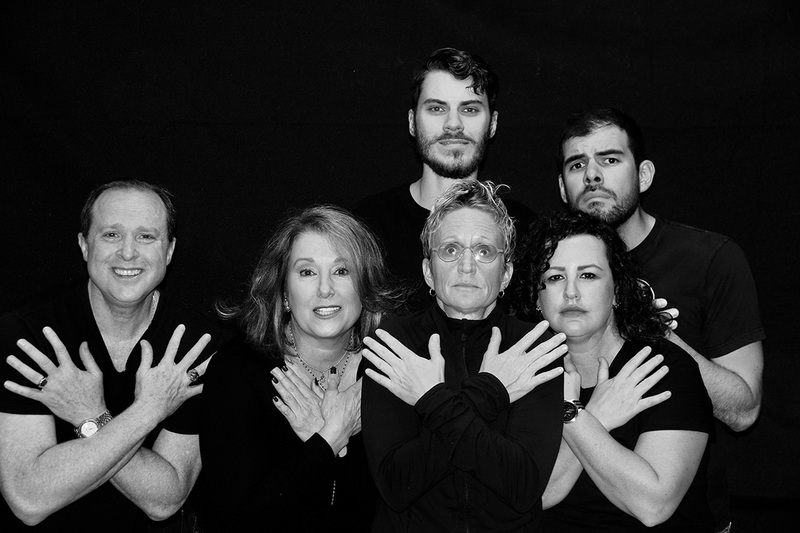 Improvaholics actors are (bottom row, from left), Bill Cummings, Susan Guidi, Sandra Lake, Anne Jones; (top row), Kevin Kravitz and Steven Sanchez.